Get a professional email address like name@example.com. 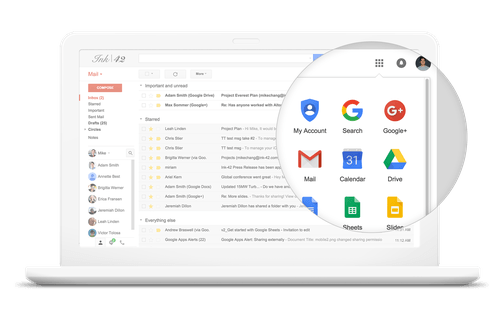 Use free mailbox service that comes with our hosting or premium G Suite mailbox from Google Cloud. Professional e-mail address using your own domain name with advanced spam filters, 30GB storage space per mailbox, hosted and powered by Google Cloud. Canagon is Google Cloud Partner and we can professionally set up G Suite on your domain, add relevant DNS records and provide you with support.